It is one of the most famous mysteries in the world. And now, an international group of scientists is to head for Loch Ness in the hope that DNA will be the key to revealing what lives in the depths. 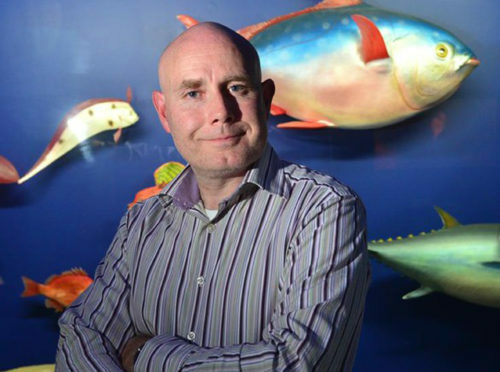 Professor Neil Gemmell from the University of Otago, on New Zealand’s South Island, is combining the talents of the UK, Denmark, USA, Australia and France, to use environmental DNA sampling of the deep and in parts almost inaccessible waters. Urquhart Castle on the shore of Loch Ness. The process will identify tiny DNA remnants left behind by life in the largest body of freshwater in the UK. 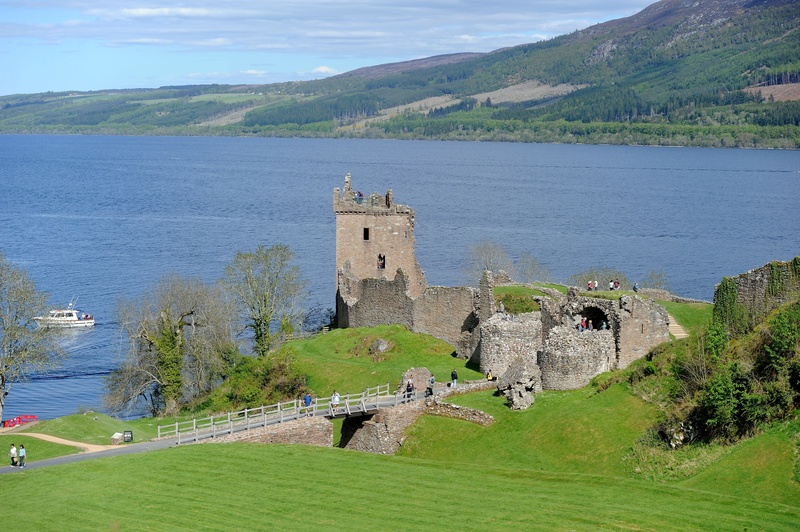 The information will then be collated to compile a detailed list of all living creatures living in Loch Ness to determine the difference with other lochs. Prof Gemmell said: “Whenever a creature moves through its environment, it leaves behind tiny fragments of DNA from skin, scales, feathers, fur and waste. Professor Gemmell admits he would be surprised to find DNA similar to that of a prehistoric plesiosaur – but is determined to keep an open mind about Jurassic life being located in the loch. He added: “Large fish like catfish and sturgeons have been suggested as possible explanations for the monster myth, and we can very much test that idea and others. 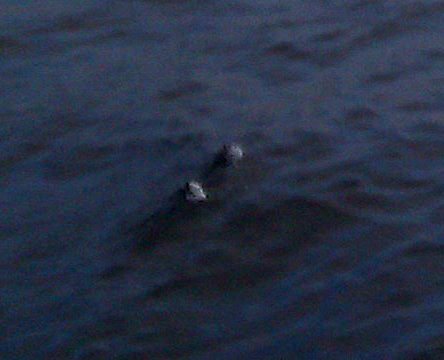 Could this be Nessie? Picture taken by fisherman Jon Rowe on Loch Ness. The use of DNA sampling is already in widespread use for monitoring sharks, whales, fish and other animals. The team will focus on searching for new species of bacteria and will also study native species in Loch Ness. “We have the opportunity through this project to demonstrate the scientific process: How hypotheses are established and tested, the need to replicate, use controls and account for observer bias using double-blind methodologies. These are all important parts of this story,” Professor Gemmell said.